Problems with your home’s heating and cooling system always seem to happen at the most inconvenient time for you and your family. In fact, any time is an inconvenient time to go without heat or cold air in your home. Since Georgia has very hot summers and cool winter months, you probably run your system pretty much all year round. When you do experience HVAC services, it is important to have a professional HVAC company you can trust. ClimateSmith is a fully licensed and insured HVAC company servicing the residents of Duluth and the surrounding areas. You can trust our HVAC experts with any needed repairs to your system. We guarantee quality results and your full satisfaction. If we are called to service your HVAC, we will first do a comprehensive diagnostic check of your system prior to performing any repairs. A system efficiency analysis may also be performed on your system. We will also provide you with a free written estimate before starting any work on your system. Once we have determined the cause of the problem, our experts will fix the problem as fast as they can and get your system back up and running as soon as possible. There are many common malfunctions that can occur with an HVAC system. If your HVAC temperature is not the temperature you set on the thermostat, or if you are experiencing higher than usual electric bills, this could be a sign of a problem with your HVAC system. Call a licensed HVAC professional right away to ensure that your HVAC system is working properly and efficiently. We can also provide Bryant AC system repairs and Lennox AC repairs to our valued customers. We can keep you cool in the summertime and warm and cozy in the winter. 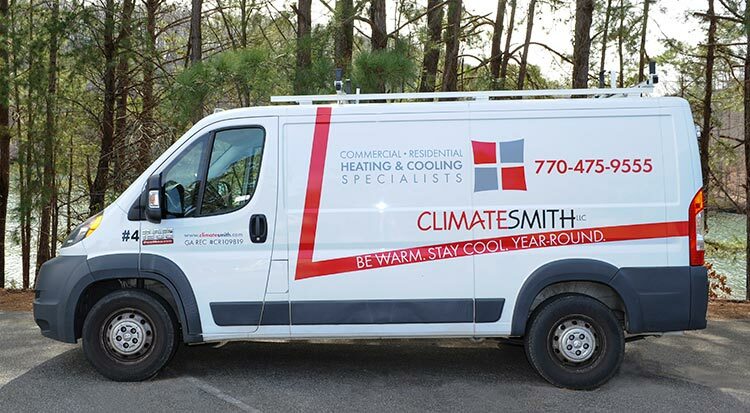 Please contact our Duluth Residential HVAC Service Experts at ClimateSmith today to schedule service or repairs on your home’s heating and cooling system. We look forward to working with you.